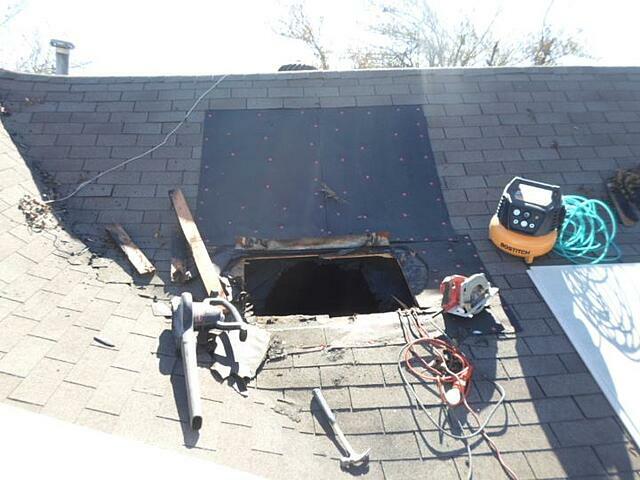 After a homeowner’s insurance policy has been issued, it is not uncommon in to have an insurance field underwriting inspection completed on the property. A property inspection is a great tool to determine the current condition of the property, identify certain types of conditions or hazards and if requested, receive an estimated reconstruction cost estimate. Not only is the inspection a valuable tool to accurately determine the risk associated with a property, it is also a process that requires interaction between the homeowner, the agent, and the inspector. While our goal is to provide the perfect customer experience, occasionally a challenge will arise between any or all of the parties involved. This may result in a complaint. Let’s discuss the steps and processes to evaluate and resolve complaints. In this post, I will discuss the initial evaluation of a complaint and the fact-finding steps we use to resolve the issue. My hope is that you and your team find this information useful to supplement your own customer experience. What action was taken by underwriting? 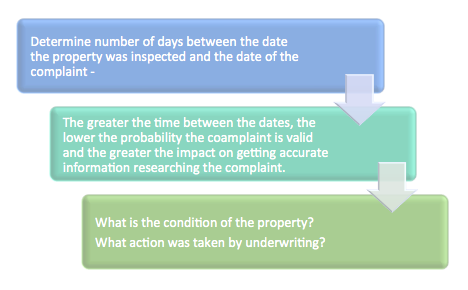 The following chart illustrates how the number of days between the date of the inspection and the date of the complaint can impact the validity. 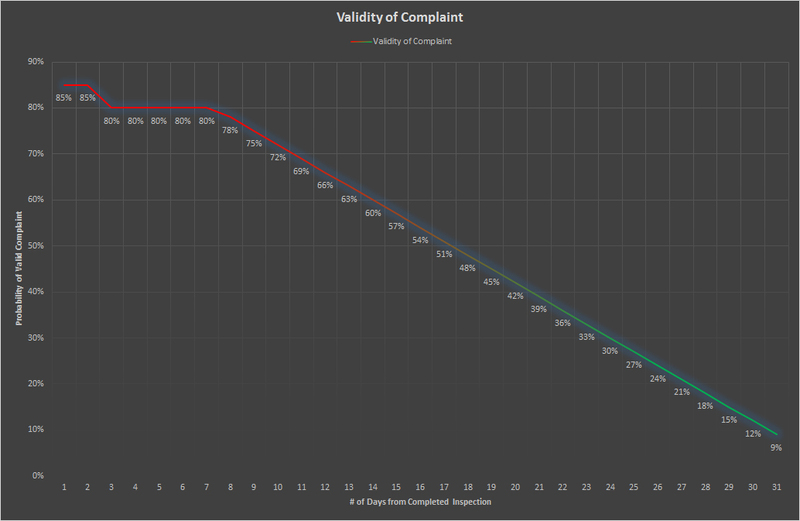 The Y-axis (vertical line) represents the probability percentage of a valid complaint and the X-Axis (horizontal line) represents the number of days between the date the complaint was submitted and the date the property was inspected. There is a noticeable decrease in complaint validity as each day passes. The regression source data is pulled from Navigator (CISGOC’s Inspection ERP) over the course of the past two years, and approximately 4 million inspections performed in that period. 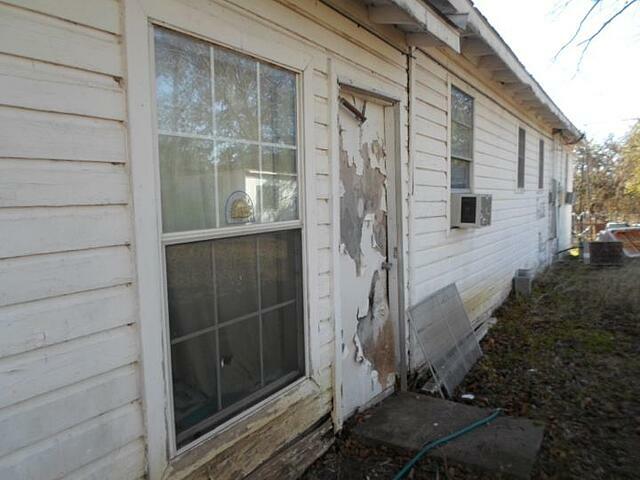 The greater time between the date the property was inspected and the date of the complaint, the more impact it has on our ability to conduct accurate research. As each day passes, the ability for the inspector to recall specific information about a property or incident declines. 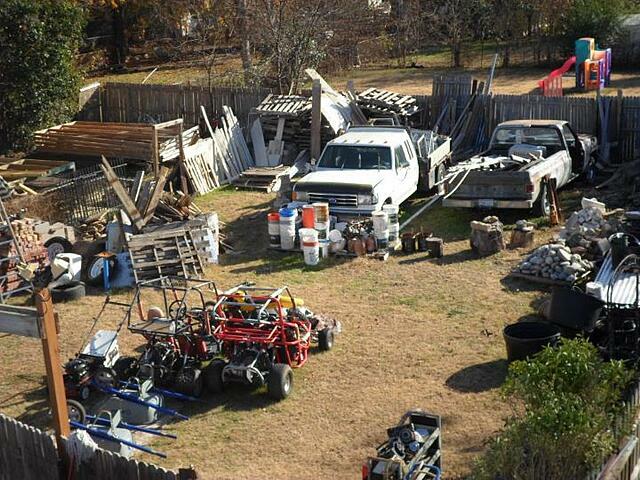 A typical inspector may look at several hundred properties in a month. As time passes, their ability to remember relevant information about an interaction is greatly reduced. Was action taken by the underwriting team? Was coverage dropped? Did Coverage A increase, resulting in a higher premium rating? Was a recommendation letter sent requiring the insured to repair or mediate a risk that produced out of pocket costs to the insured? 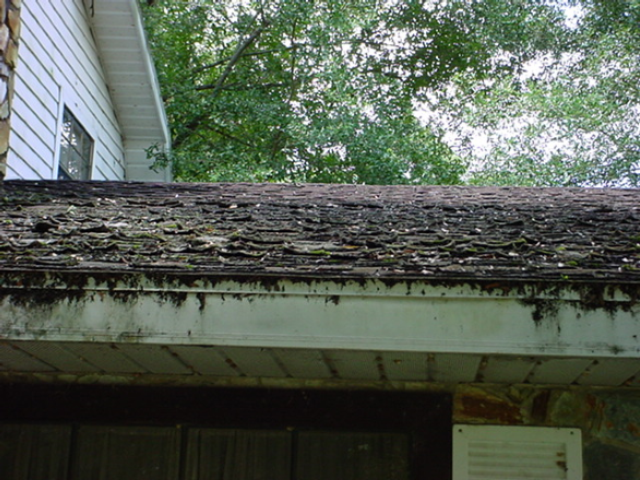 Upon review of an inspection after a complaint is filed, have you ever seen something like this? 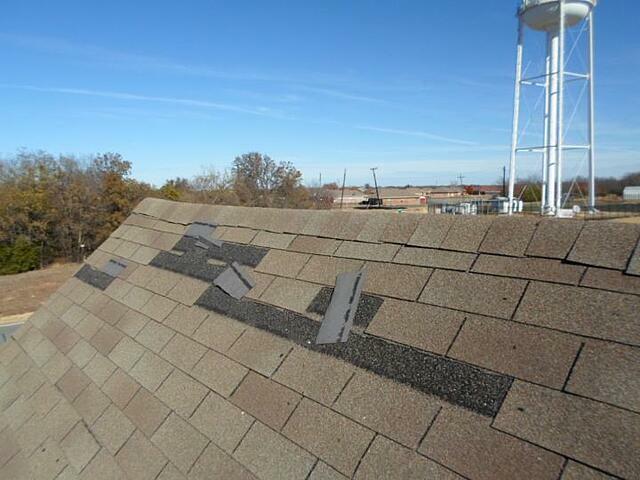 When conditions like these are observed and noted on the inspection, underwriting may take action. If an insured receives a letter from their insurance carrier stating that they are taking action on a policy to mitigate or reduce risk, it likely comes at a cost to the insured. In some cases, the policyholder will immediately file a complaint regarding the inspection process hoping to defer or reverse the underwriting action taken by the insurance company. In summary, when you receive a complaint regarding an inspection, take a moment to review the 3 key elements suggested. You may find that the data provided requires further vetting and research. At any time during the process that you determine further action is needed, reach out to our customer service at our HQ office so that our group can continue our never-ending quest to provide the Perfect Customer Experience. Be sure to subscribe to our blog by filling out the form on the right.